What does it feel like to be loved for one’s beauty or perfection? Naturally, it’s something that everyone who has never had that kind of beauty or talent imagines.? 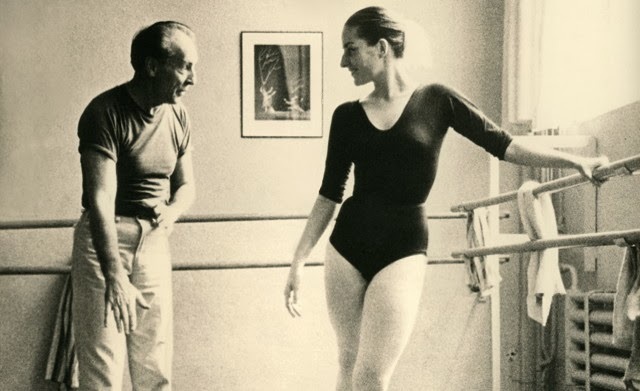 Tanaquil Le Clercq was one of the legendary stars of The New York City Ballet who eventually became the wife of George Balanchine, its mythic maestro. And Nancy Buirsky’s documentary Afternoon of a Faun: Tanaquil Le Clercq (named after the Jerome Robbins Afternoon of a Faun choreographed Le Clercq) which includes cameos by Robbins, Jacques d’Amboise and Arthur Mitchell, the New York City Ballet performer who eventually founded the Dance Theater of Harlem, could be its own tragic ballet. In fact, Balanchine created a work about a ballerina felled by polio which eerily foreshadowed Tanaquil’s own story. “Balanchine had to be inspired by the unattainable,” d’Amboise is quoted as saying about Le Clercq's effect on all those who met her. She had a rare beauty characterized by preternaturally elongated legs and extraordinary talent. Watching Afternoon of the Faun one is reminded of stories of famous athletes like Mohammed Ali who are super heroes in their youth and then have to contend with existence in aging sometimes diseased bodies. The dichotomy is the stuff also of melodrama and in spite of the inventive use of grainy stock footage to convey the very idea of lost beauty, one can’t help asking if this isn’t a balletic version of Love Story. When the 27 year old ballerina contracted polio in the middle of a New York City ballet tour of Europe n l956, her fall was swift and severe. “I feel like a filet of sole trying to balance on its tail, “ she remarks. At first Balanchine fashions himself the Pygmalion who will transform her back into what she once was. Then when it becomes apparent her chronic condition cannot be ameliorated by the assault of will, their already troubled relationship falls apart. One of the most endearing elements of the movie are the clips from 50’s and 60’s television which was having its own love affair with high culture that is scarcely visible in commercial TV today. Tanaquil and Jacques d’Amboise are interviewed for one of the network shows after a performance of Nutcracker with two awestruck children gazing upon characters in a fairytale come to life—a fairytale that was about to become a nightmare, that is.